To Keep the Light Burning: Reflections in times of loss is a particular book of poetry and prose put together with the aim to be of help to those experiencing loss and grief from death. A collection of poems that could be read at funerals; traditional burials or cremations. Poems for now, when many need a different way to express their loss, and may or may not choose a religious ceremony. Linking this with the traditional ways we in Ireland cope with and honour the dead. 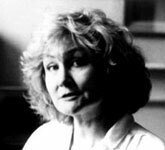 Anne Le Marquand Hartigan is a prize-winning poet, playwright and painter. She trained as a painter at Reading University, England. She returned to Co Louth, Ireland, in 1962 with her husband Tim Hartigan where they farmed and reared their six children. She now lives in Dublin. To Keep The Light Burning is her sixth collection of poetry. The others are Nourishment 2005, Immortal Sins 1993, award winning long poem with Anne's drawings, Now is a Moveable Feast, 1991, all published by Salmon. Return Single 1986 and Long Tongue 1982 both published by Beaver Row Press Dublin. Her prose work includes Clearing The Space, the Why of Writing, published in 1996 by Salmon Publishing. Letters into the moist air. The winds are not around. Galway Advertiser, February 12, 2009. 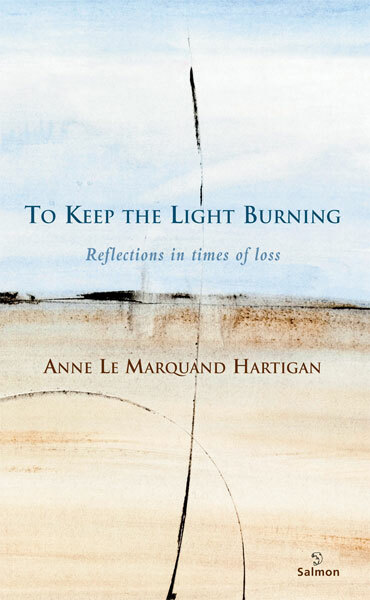 To Keep The Light Burning (Salmon Poetry) by Anne Le Marquand Hartigan is a mixture of poems and prose pieces designed to help those experiencing loss and grief. There is an introduction by Mark Patrick Hederman of Glenstal Abbey. Some of the poems are taken from Anne's previous collections, published by Salmon Poetry and Beaver Row Press. The poems are arranged with a piece of prose introducing each one. 'What is poetry for?' is the question pedantic little men like to ask. Well, one of the things poetry is for is those occasions - be they joyful or sorrowful - when the ordinary words of everyday speech fail to adequately express what needs to be said. 'Heart's Blood' - on the death of a child - is a poem which, for me, brought to mind my cousin Robert who was barely a toddler when he died: "May you live in/warmlight/in kind gardens/with soft air/with light, loves, birds,/doves - animals to/play with you". The final poem is 'Weighing Things Up - Four Sons to Carry My Coffin': "I will be the last weight on your shoulders/the groove of wood cutting down on your bone." Poetry cannot repair our grief, no more than it can change the world, but it can help us put things in perspective at crucial times. One of the few things of which we can be certain is that each of us in turn will be visited some day by grief. A poetry collection whose avowed aim is to provide poems that could be read at a funeral might appear depressing, but To Keep the Light Burning, by Anne Le Marquand Hartigan, is anything but grim. Many of the poems collected here are drawn from Hartigan's five previous collections or else have appeared in anthologies. Each is accompanied by a prose essay that explains the poem's background or meditates on its theme. But it is also a very brave book; Hartigan is facing down her own mortality while comforting others and concludes that there is nothing at all to fear.